It is not your typical 'city that never sleeps' nor the one with towering concrete buildings. 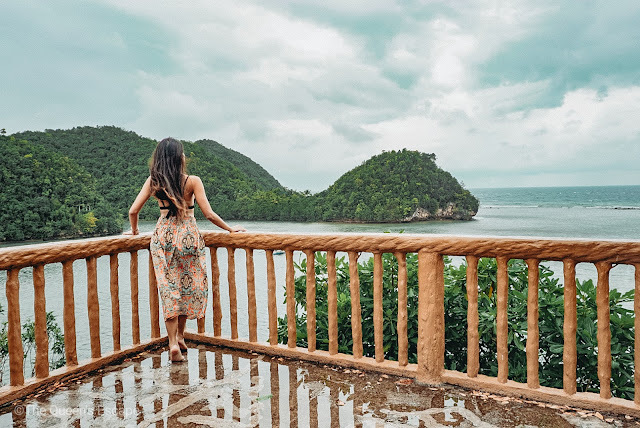 It is a city where beaches are accessible, where waves that can be surfed exist and are just few minutes away from the city proper, where islets are among the major attractions, where diving sites are just around the corner and hillside resorts are a thing. This is Sipalay City - what I have dubbed as a laid-back city of Negros Occidental. 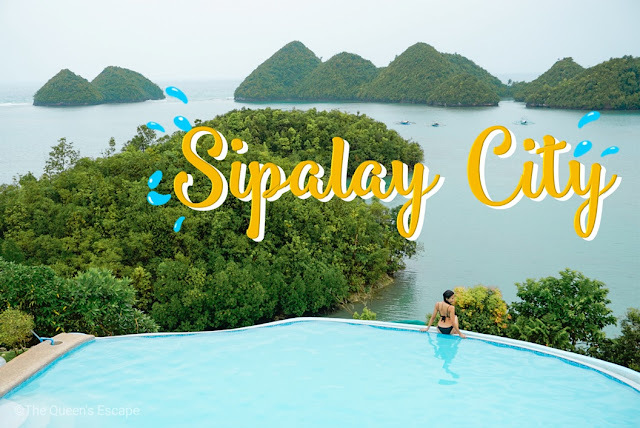 Sipalay City is situated in the Southern West coast of Negros Occidental. The wonders that can be found in here gradually became known to everyone thus frequently visited despite the long drive that it takes to finally get into the town. A variation or dialect of Ilonggo is widely spoken in the town. People, though, could communicate fluently in Tagalog and some in English making it easy for the tourists to interact with them. Some things tend to happen unexpectedly. Some ended up being hated while some being loved and cherished til the end of time. Either way, it teaches us really good stuff. This is what my solo travel in Negros Occidental has taught me. I initially planned to do a Negros loop after attending the Masskara Festival in 2018. I was indeed stoked with the idea of going around solo for more than a week. Prior to my trip, itineraries, budget, OOTD and contacts have been prepared. I was more than ready. Or I thought I was? If there was one thing I did not anticipate, it's the weather. The first three days were perfectly fine. Sun was up, I soaked in a lot and got a good tan in Lakawon Island (Read: Travel guide to Lakawon Island). I witnessed the colors of Masskara under the sunshine in Bacolod City. I was able to visit cafes and enjoy a cup of Negros Occidental's finest brew with a good view the hills and breath taking landscape in Silay City. Until the next day when I was supposed to be bound for Dumaguete for Apo Island. I woke up in pouring grey skies. Drops fell heavily on the glass window panes of my room. I knew my itinerary was fugged up. Right there and then, the never-wanna-be-idle traveler in me had to change the messed itinerary. I called my friends up and searched places to visit online. So I ended up choosing Danjugan (Read: Travel guide to Danjugan Island). However, reservations days before the visit had to be made! The last resort? Sipalay, that's it. In a snap, I found myself stepping into a bus south bound that rainy morning and though of places to be visited and look for contact persons while on the road. I had four hours of planning. This iconic resort is known for its infinity pool on the hillside with a view of the vast ocean and islets of Sipalay. It was around 2 in the afternoon when I came and it was raining. Yet, the resort didn't fail me. It was among the most breathtaking view I've had. The water in the pool was warm so I enjoyed both the dip and the view on a cold rainy afternoon. The 5-ft pool is open to guest up to 10:00 PM. The resort on the other hand, is open from 7:00 AM to 5:00 PM daily. For those who will be checking in for a night, check in time is at 2:00 PM and check out at 12:00 PM. There's a swimming area with floating cottages several steps down from the pool area. air-conditioned room equipped with television and selected cable channels that is good for four persons with 2 single bed and 1 matrimonial bed. It also has its own bathroom. an air-conditioned room with two matrimonial beds, 2 extra beds, kitchen and television with selected cable channels. *Take note that guests may be charged 200php for excess heads and extra beds. 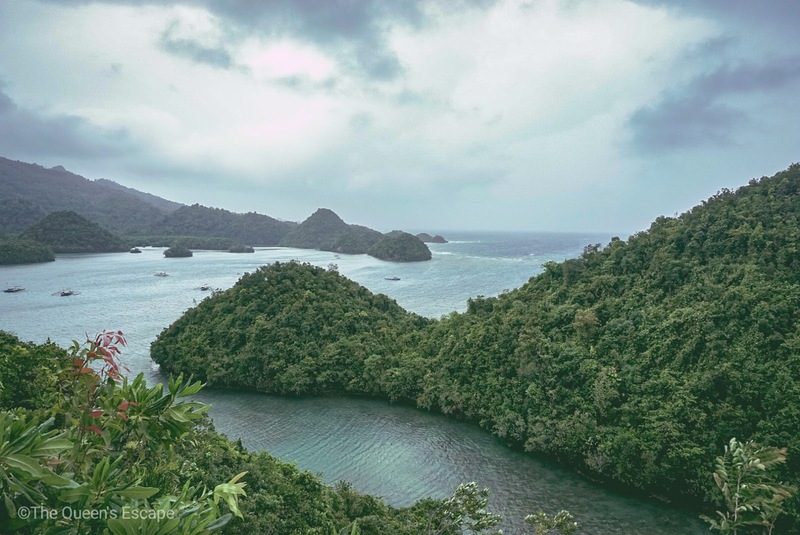 According to my tour guide, this place was called as such as there is a portion of the sea that is partly enclosed by land and is surrounded by islets and hills; hence, 'tinago' (hidden). It has an extremely distinct charm for it gives a closer view of the hills and islets which are seen afar if you are in Perth Paradise Resort. 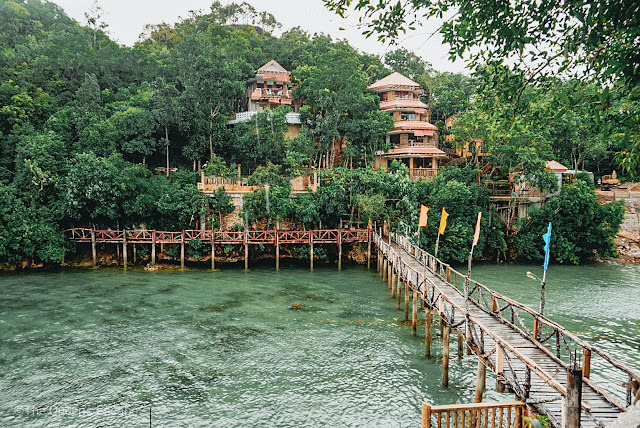 It also has a long hanging wooden bridge that connects the resorts located at the other hillside to another. The other resort, on the other hand, provides quite an astounding view as it has a view deck atop the hill. I was lucky enough that my tour guide knows very well the spots that are good for taking photos so I really had good ones. The two resorts from each hill side offers room equipped with air-conditioning, television and hot and cold shower. Room rates range from Php 1,200 to Php 1,650. 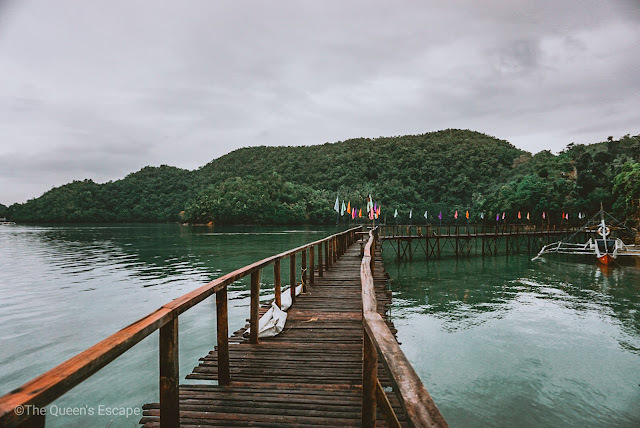 For only Php 10.00, you can enjoy a long wooden walkway that stretches from the resort down to the waters. The end of the walkway is a ladder down to the shallow part of the sea where swimming and kayaking is possible. They also have rooms for rent. Should you want to visit the points of interest in the town, two days or three may suffice. Danjugan Island in Cauayan or Dumaguete City can also be explore next to your visit in Sipalay City. Take note that some of these attractions may require boat transfers. Exploring the wonders of Sipalay may take two or three days. Thirty minutes away from the town is the jump off to Danjugan Island which is located in Cauayan, Negros Occidental. 1. There are ATMs in the town proper but nowhere near the resorts I have visited. 2. There are various cheap and quality accommodations like pension inns and hotels near the terminal and around the town. You may ask your tour guide for recommendations. 1. Fly from Manila to Bacolod City or Dumaguete City. Cebu Pacific Air, Philippine Airlines and Air Asia have several flights on a daily basis from and to the said provinces. 1. From Sipalay Airport, take a cab to South Bus Terminal. This might take more or less an hour with 350-500php fare. There are also buses outside the airport that travels to Bacolod City. 2. From the South Bus Terminal, take a bus or van bound for Sipalay or Hinobaan. Tell the driver to drop you off Sipalay City. The trip takes four to five hours. 3. The driver will drop you off the Sipalay Terminal. From there you can look habal habal or tricycle that you can charter to tour you around Sipalay. 1. Take a bus or van bound for Kabankalan. 2. From Kabankalan, take another bus or van going to Sipalay or Hinobaan. 3. If getting dropped at Hinobaan, take another van going to Sipalay. If taking a bus bound for Bacolod City, ask the driver if they will pass by Sipalay. You may either take that one. 4. From the drop off point, you may charter habal habal or tricycle to tour you around. In getting around, I looked for contact details of tour guides posted on Facebook travel groups. My tour guide waited on me at the drop off point and we got off to the tour right away after. I found JM's contact details posted. He charged me Php 500.00 for a day trip where we visited Perth Paradise Resort, Tinagong Dagat, C-View Resort and a beach where waves are good for surfing. This island is shaped like a turtle! Fascinating, it is! 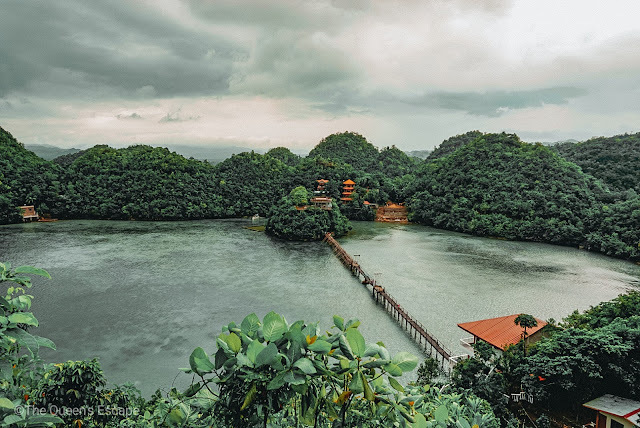 The province of Negros Occidental, most especially the quiet town of Sipalay City, is a solo travel-friendly destination. I rode shotgun and solo and it's seriously one for the book! Planning to go solo? I highly recommend Negros Occidental.